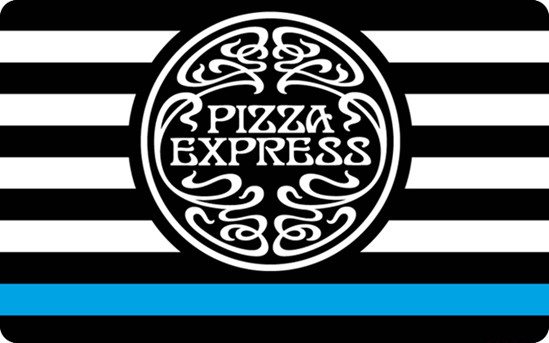 Established in 1965, PizzaExpress is the UK’s number one casual dining chain with over 420 restaurants nationwide. 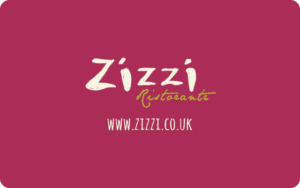 We’re passionate about authentic Italian recipes, stylish restaurants and great service to match. 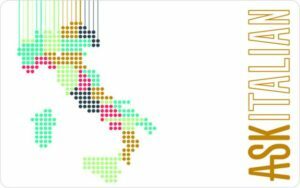 Earn up to 750 DigiiPoints Points. The customer must print their eGift and present to the waiter ready for redemption in the restaurant. 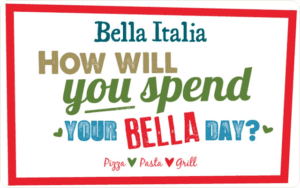 eGifts may be redeemed for goods in any PizzaExpress in the UK and Northern Ireland, where such store accepts payment in GBP sterling. PizzaExpress reserves the right to reject illegible or incomplete eGifts. An eGift can be used as full or part payment for PizzaExpress goods.If you have any remaining balance on this eGift, you must keep your credit card receipt with this printout to present the next time you would like to use it. The remaining balance and expiry date of an eGift can be checked at any time by calling PizzaExpress Customer Services on 0845 130 2715. eGifts cannot be redeemed for cash or paper gift vouchers and are not for resale. eGifts will expire 24 months from the date of their issue, and any remaining balance will be forfeited following expiry of any eGift. PizzaExpress is not responsible for any lost, stolen or undeliverable eGifts. If you are the purchaser, please double check the delivery email that you enter it is your responsibility to do so as PizzaExpress cannot be held responsible if an eGift is used by someone other than your recipient if the email entered is incorrect. If you should have any other queries concerning eGifts please call or email our PizzaExpress Customer Services team on 0845 130 2715 – enquiries@pizzaexpressgifts.com who will be happy to help. For full terms and conditions, please see www.pizzaexpressgift.com.